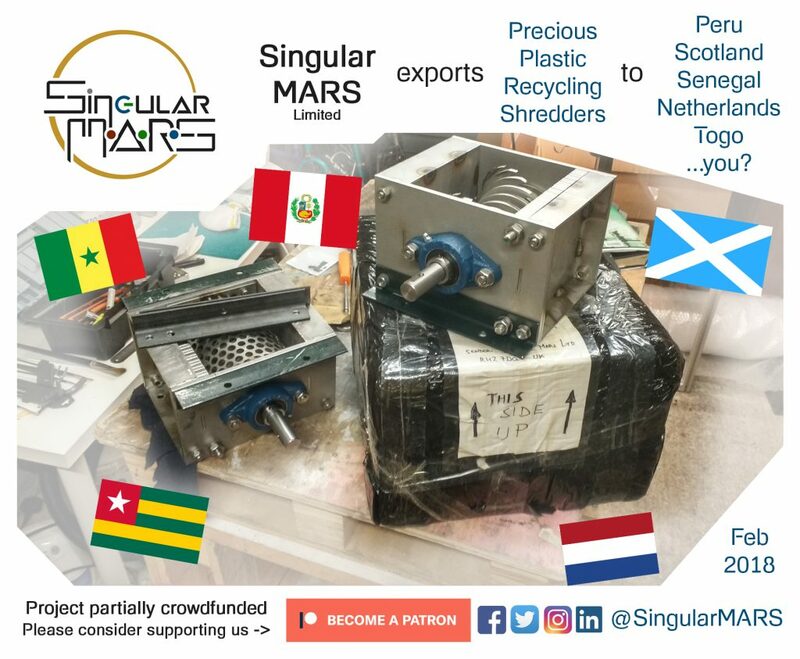 We have been involved in a number of really exciting projects, building and shipping plastic shredders to support community projects taking place around the world. Most recently we built two shredders, destination: Africa. One went to Togo and the other to Senegal, which will be used as part of an educational program for kids. Another shredder was shipped to the Netherlands (the fatherland of Precious Plastic) and another one to Peru! KPC from Glasgow have been making good use of their shredder, have a look at what they made. As always, we were able to offer these shredders at subsidised prices, thanks to your continued Patreon donations and will share more information on the outcome of these projects soon, so please watch this space. 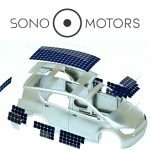 Sono Motors is a German start-up that has developed “the Sion”, the first electric car capable of recharging its batteries from the sun via solar panels built into its body. Thanks to your donations, we have invested €210 into the fantastic work they are doing. The Sion is currently being test driven across Europe and they are taking pre-orders to take this car into volume production very soon. Over the Christmas break, I took some time out of work to participate in an initiative, helping to prepare a “Festive Feast” for local people that would be spending Christmas alone, via Voluntary Action Reigate & Banstead (VARB). Later in January I also participated in a day-long conservation effort, via Surrey Wildlife Trust, at a local site, Nutfield Marsh, which involved cutting down one type of plant, to allow another type to grow and promote greater bio-diversity in the area. Being a start-up, there is the temptation for me to work 24/7 to get things off the ground, but I also recognise the importance of giving back to the community, and your donations help fund me to do that, so thank you. I don’t want to tell you too much about this yet, but we have been working on something BIG which we will be able to reveal in the next Patreon update. This project is designed to drive awareness around the importance of plastic recycling. More to come soon! Finally, I wanted to remind you about our regular donations to Dave Hakkens (Precious Plastic), Fully Charged Show, Wikipedia, and Scott Santens who advocates for a Universal Basic Income, that keep happening thanks to you. I had to stop donating to Greenpeace for now as they don’t accept donations from companies. Please consider supporting us so that we can continue to get involved in these as well as other exciting projects, and don’t forget to follow us on Twitter, Facebook, Instagram and LinkedIn.